Just because Black Friday and Cyber Monday are over doesn't mean there aren't all sorts of deals out there to satisfy your impulsive seasonal shopping cravings. There's your usual selection of cameras, TVs and computer peripherals, but we also found a deal for the first season of Three's Company of DVD for $2.75. Now that's a deal. Hit the jump for the full bounty. • Saitek Rumble Force PC Gamepad for $7.99 plus free shipping (originally $49.99). 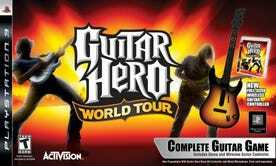 • Guitar Hero World Tour - Guitar Kit on PS3 for $59.98 plus free shipping (originally $99.99). • Plantronics Multimedia Gaming Headset for $12.99 plus free shipping (originally $69.99). 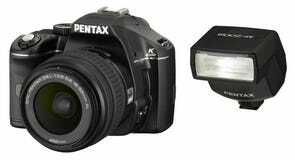 • Pentax K200 10.2MP Digital SLR Camera for $599.94 (originally $1,089.31). • Sony Cyber-Shot 7.2MP Digital Camera (refurbished) for $84.99 (originally $199.99). • Samsung 50'' 720p Plasma HDTV for $999.99 (originally $1,499.99). • Samsung 1TB Hard Drive for $84.99 (originally $112.55). • CyberPower USB Hub (4-port, 2.0) for $9.99 plus free shipping (originally $59.99). • Transcend 8GB SDHC for $13.49 plus free shipping (originally $32.99). • Nokia N85 (unlocked) cellphone for $555.99 (originally $1,200). • V-Touch 8GB MP3 Player for $69.99 plus free shipping (originally $249.99). • Spiderman 3 on Blu-ray for $9.99 plus free shipping (originally $43.99). • DVD Boxsets for 40% off (Use coupon code "CM2008" - valid only on 12/02). • Three's Company - Season 1 on DVD for $2.75 plus free shipping (originally $14.95). • HDMI-M to DVI-M Cable (6 feet) for $3 (originally $23.99 - use coupon code "HDMIDVI6"). • RCA Foreign Voltage Adapter for $4.99 (originally $32.99). • SwissGear USB Notebook Cooler Fan for $0 (originally $39.99 - use this rebate form - valid only until 12/02).